Due to some helpful advice from the Specialized Yahoo Group, we're going to work on the shoulder issue with the saddle where the Impression pad showed clear through. 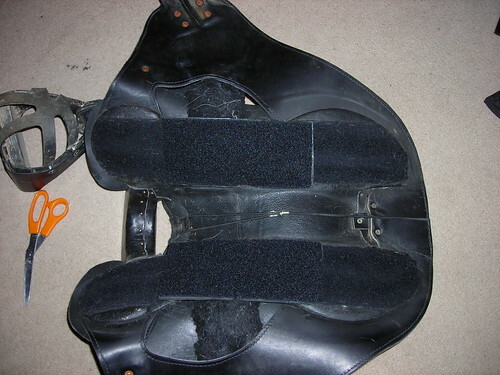 We brought the saddle in and put some shims on the middle starting behind the motion of the shoulder. We used the flat shims. I'll have to double check on Tanna to be sure the shim is in the right place and do another test ride with the Impression pad. 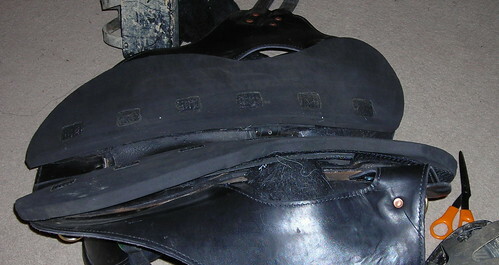 Side view after the neoprene pads were put back on.